Early thoughts on a potential new Hearthstone archetype. Thief Priest is a Hearthstone deck that uses many of the card-stealing and card-copying mechanics available to the class to outvalue its opponent far into the late game, and with an overwhelming number of stolen minions and spells. 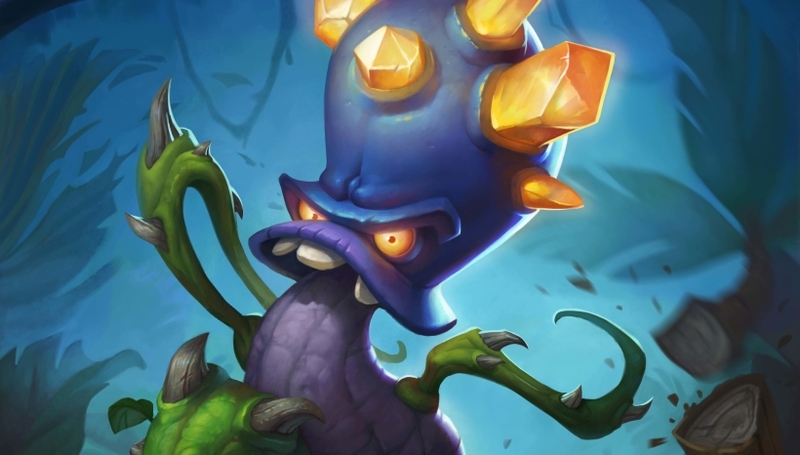 The centrepiece of the deck is the new Princess Talanji card from the Rastakhan’s Rumble set, who has a Battlecry effect that summons all minions from your hand that didn’t start in your deck. The plan, then, is to play a heavy control game, while building out your deck further using a multitude of copying effects. Therefore, once you hit turn eight, your hand should be full of newly acquired cards that will all be summoned alongside Princess Talanji when she hits the board. While it’s function is fairly clear, it’s difficult to see the deck being massively successful as it is extremely greedy. You won’t be contesting the board much early and so can easily be overwhelmed by much faster decks. Slower, more control-oriented decks could struggle, but it looks like Thief Priest will still need some extra refinement to challenge them consistently too. Below are some of the important cards we expect to feature in Thief Priest. We'll have a deck list ready for you at launch, along with the usual strategy advice and card combos, but for now here are some early thoughts on what to expect. We wanted to bring you a deck list for Thief Priest so you could get stuck into the new Rastakhan's Rumble deck right away. It’s subject to change, of course, in the coming weeks so careful with your crafting dust. As the deck list becomes refined, we will fully update the rest of this article with the usual card combo, Mulligan and strategy advice. Princess Talanji – A large part of why the deck has risen in prominence prior to release, as being able to summon every card that you’ve copied in your hand will likely represent incredible value. Spirit of the Dead – One of the new Spirit cards that adds a one-cost version of any friendly minion that dies to your deck. Used for the synergy with Bwonsamdi (see below). Bwonsamdi, the Dead – Allows you to draw all of the one-cost cards created by Spirit of the Dead. Theoretically, you can follow up on turn eight with Princess Talanji to summon them all. Cloning Device – A straightforward card that lets you discover a minion from your opponent’s deck. Having a choice between three is a bonus, and it fits perfectly with Princess Talanji if you grab something very expensive. Crystalline Oracle – This little fella has been popping up in Priest decks for a while as a solid one-drop choice. Now, he fits even better in Thief Priest with the card you copy on its death. Thoughtsteal – A classic Priest card that already offers some incredible value. It’s potential is only increased further if you manage to copy particularly strong minions. Devour Mind – Simply a more expensive and more effective version of Thoughtsteal. Copies more cards so there’s a greater chance of getting additional minions. Curious Glimmerroot – Another prominent Priest card that’s been universally included in many decks, and purely on its power level. Naturally, it fits well in a Thief Priest deck. Holy Water – Can be a strong removal tool while also allowing you to specifically target one of your opponent’s minions to add to your hand. Pick one of the strongest or most impactful to pair with Princess Talanji. Archbishop Benedictus – The potential with this and Princess Talanji seems a little ridiculous, though it also requires you to draw through your deck to get those new cards into your hand. Sounds great in theory, then, but the reliability of execution is unclear at this stage. Elise the Trailblazer – Another way to add minions to your hand that didn’t start in your deck, thus creating more targets for Princess Talanji. Those are all of our early thoughts on the potential for Thief Priest, then. As the final cards are revealed we'll start looking into a theorycrafted deck list that you can dabble with at launch. We'll also drop in card combo and synergy advice too so you see how it all comes together!